One afternoon when Sonali Khatun was only 14, she returned home from school in her small village of Sahanagar, India, to find rows of chairs set up in her family’s mud house. She asked her mother what was going on, and the reply shocked her: “Your husband’s family is coming to see you.” Sonali panicked and protested, but her parents insisted that the stranger would be a good match. Just two weeks later, she was married. 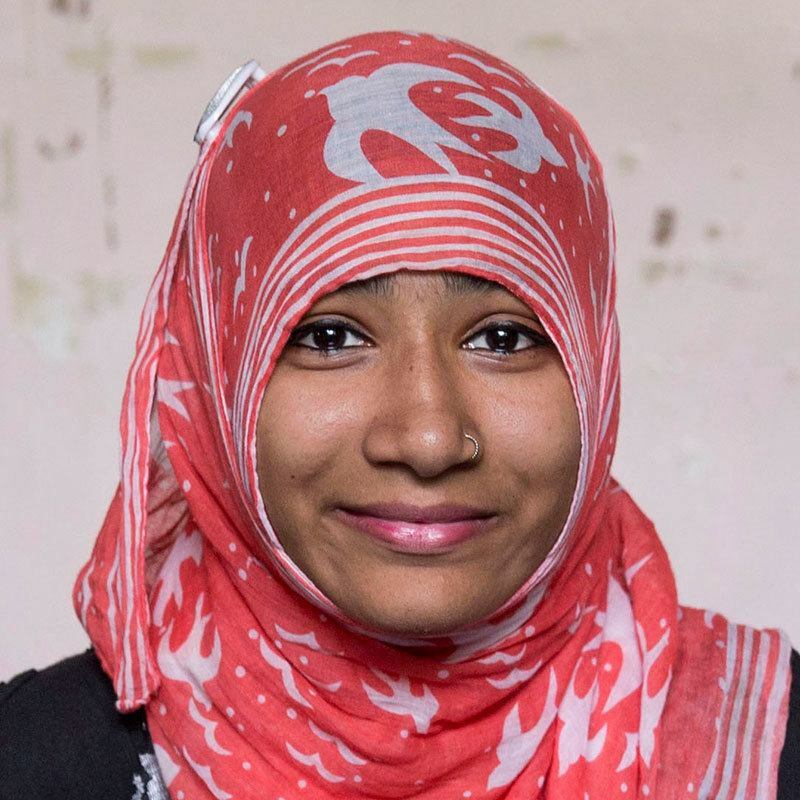 Sonali—one of millions of girls worldwide who wed against their wishes before they turn 18—dropped out of school. She found herself under the thumb of unwelcoming in-laws and an abusive husband, and soon fled their house in terror. Fortunately, her parents stood by her as she obtained a divorce, despite the slurs hurled at her from the community. She fell into a suicidal depression until she discovered MBBCDS, an organization supported by AJWS that taught her she was not alone in her struggle. Today, she teaches other girls to stand up for themselves. In India, as in so many places around the globe, women and girls have little control over their lives. 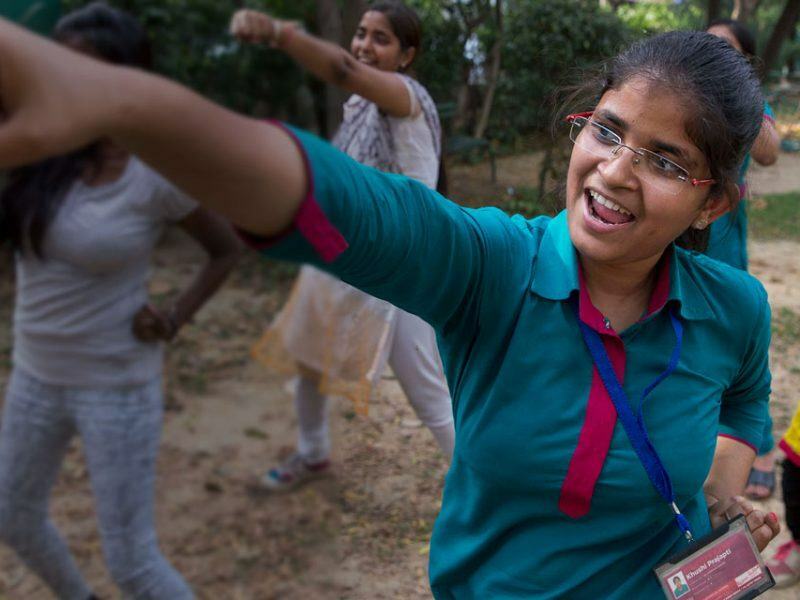 But young women like Sonali are coming together to turn the tide. 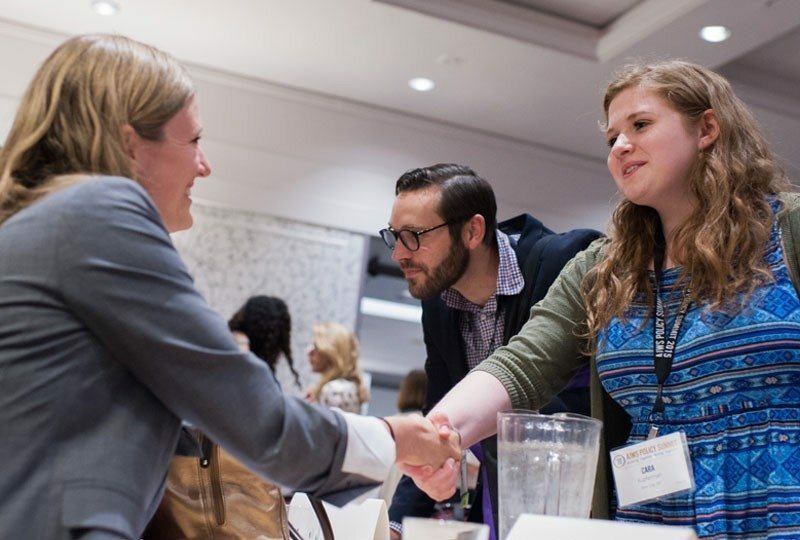 AJWS is making a $30 million investment in advancing gender equality and ending child marriage, with generous support from The Kendeda Fund. As of 2018, AJWS supports more than 60 grantees across India that are directly reaching more than 126,000 women and girls—causing a ripple effect that is changing the lives of countless more. 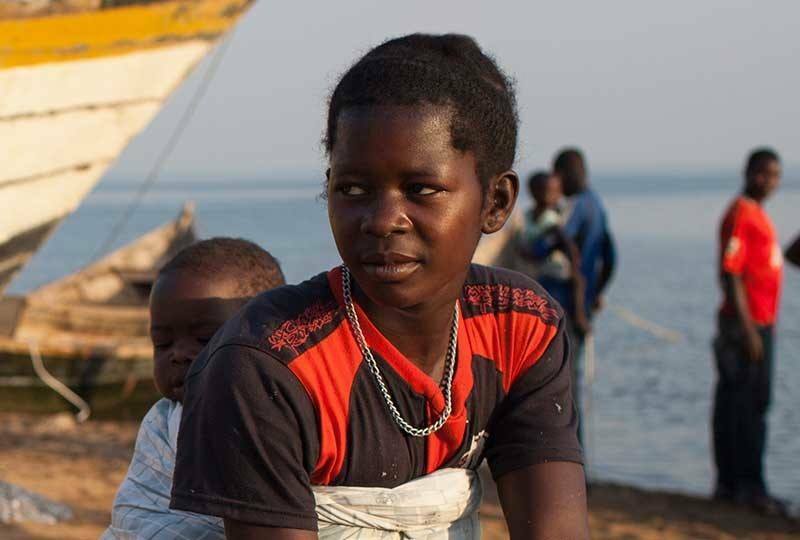 Our grantees tackle the root causes of child marriage and gender inequality: rigid social norms and beliefs that restrict girls’ aspirations, life choices and behavior. For example, they challenge the notions that fathers, husbands and sons should make decisions in families; and that girls’ education is not as important as boys’. 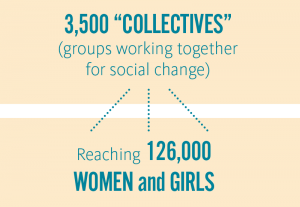 Many of these grantees have started groups, called “collectives,” that provide safe space for girls to connect with peers, practice new skills and learn about their bodies and their rights. This process builds their confidence and, over time, empowers them to negotiate with their parents and others for what they want in life. We’re already seeing more and more girls in these communities making their own choices about marriage, education and careers. 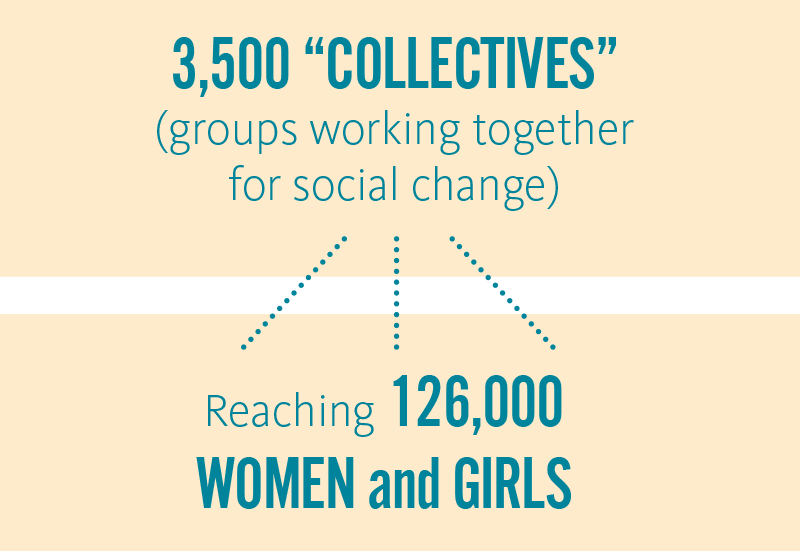 A recent external evaluation of our work in India found that girls and young women in collectives supported by AJWS have been gaining greater power in their personal lives—and influencing others in their families and communities. They’re sparking the social change that’s so critical to overcoming gender inequality. 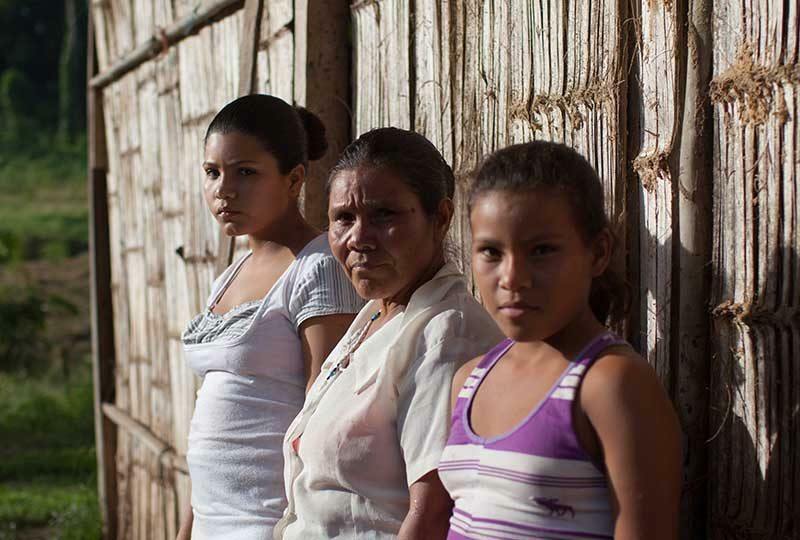 As they continue to build their collective power, these women and girls work together to demand political change too—aiming to shape new laws, policies and services that will have a far-reaching impact. Rukhsar Javed Sayyed’s mother was pressuring her to drop out of school and get married, like most other girls in her conservative neighborhood. 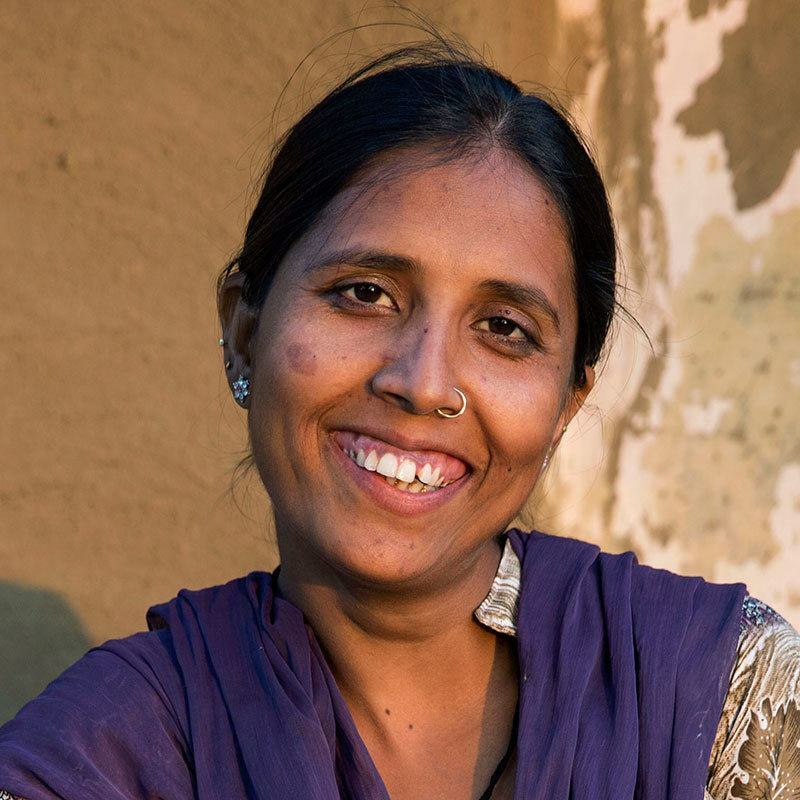 But after taking English classes at Awaaz-e-Niswaan, Rukhsar felt more confident and sure that she wanted a career. The experience emboldened her to insist on completing college. 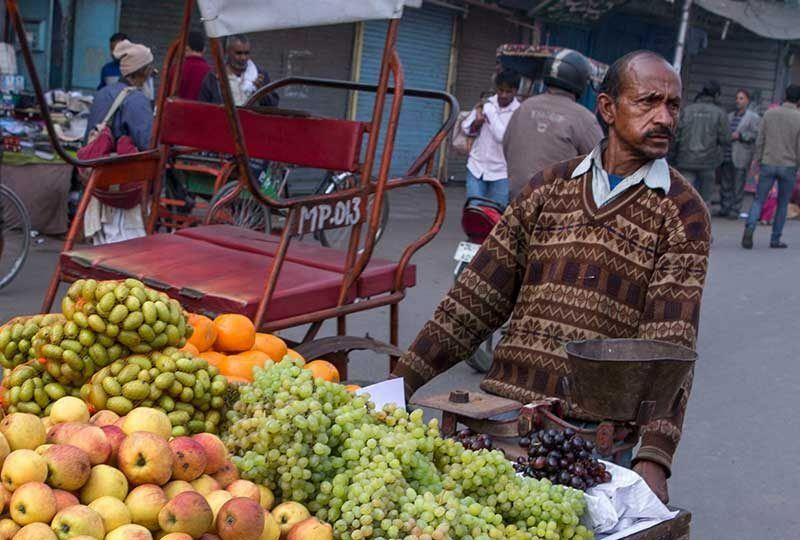 As a teenager, Khushi Prajapati faced the likely prospect of an unwanted marriage and a lifetime of poverty. 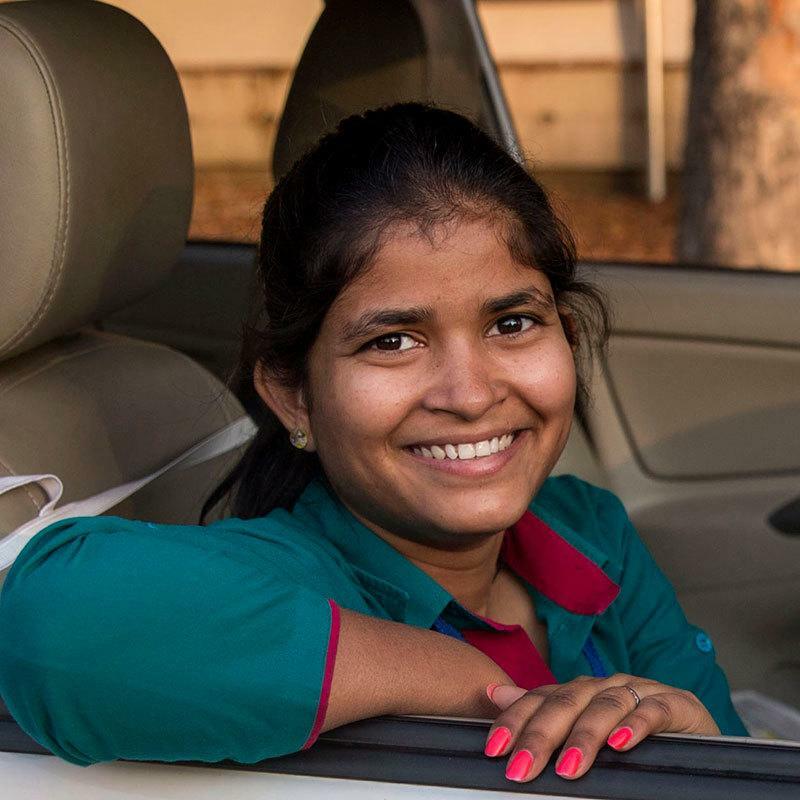 But through Azad Foundation’s “Women on Wheels” program, she learned to become a taxi driver, typically a job done by men. 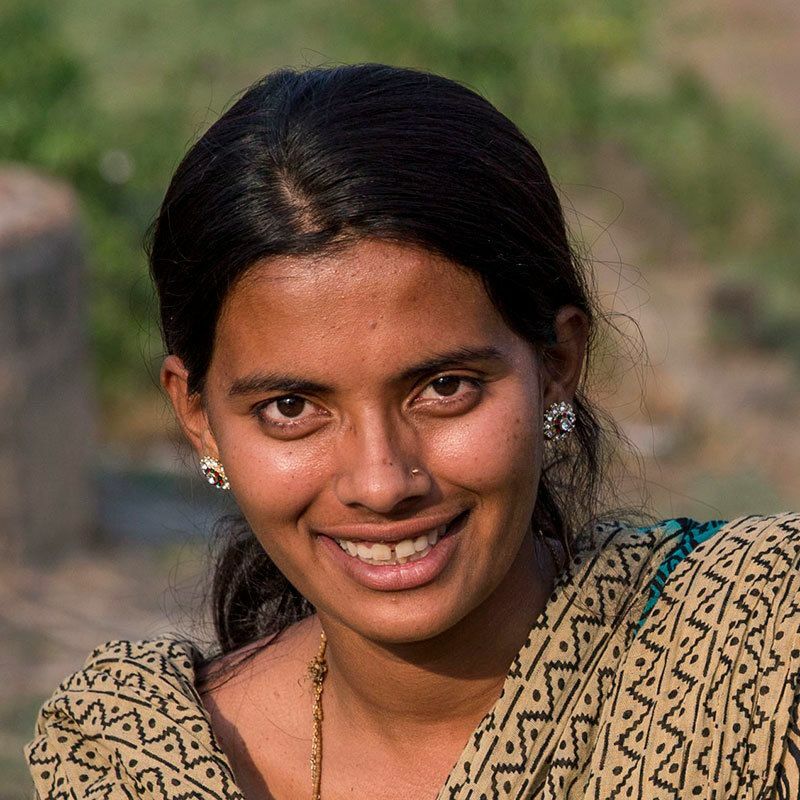 Khushi now supports her parents and siblings—and has earned the bargaining power to decide about marriage on her own terms. Recently, she achieved one of her biggest goals: to buy her family a house. Through MASUM, Shital Waikar gained access to information about her body and sexuality that her mother—married at age 14— never got. This helped her dispel a common belief in India that a girl is “polluted” while she has her period—a belief that keeps many girls like Shital home from school, prohibits them from touching others’ food, and causes great shame about menstruation. Today, Shital volunteers with MASUM to educate other youth about their reproductive health and foster positive body image. At just 23 years old, Manju Kumari is a sarpanch, the elected head of her small rural village. 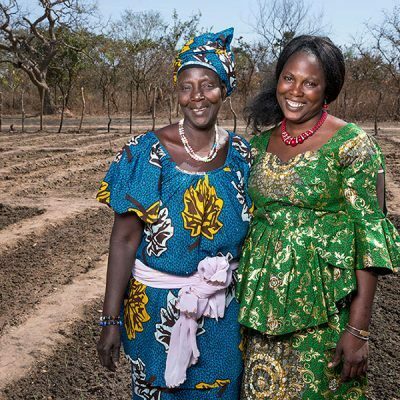 Manju wanted support in pushing for policies that will promote gender equality in her community, so she began to train with an organization called The Hunger Project, which helps build the leadership skills of young women. With help through this coaching, she has launched new public services to meet the needs of adolescent girls— including a center where they can meet, study and play sports.